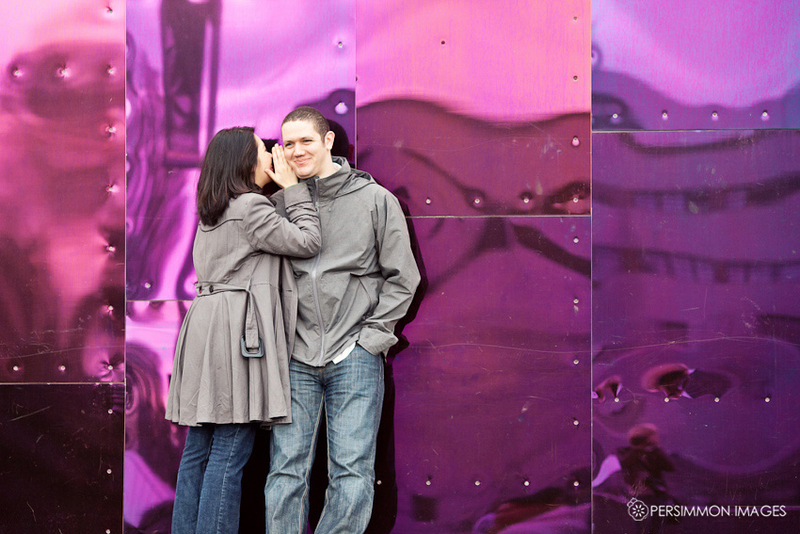 Wow, I’ve really been dragging my feet on posting our two latest engagement sessions! The problem is, I can’t decide which images I want to post, and I’m having a hard time even editing them down to a reasonable quantity of photographs. Oh well, more to love! These photographs are from last month, one rainy weekend where somehow both Saturday and Sunday evening were briefly ever-so-gorgeous. Karen and Chris are Microsofties and gamer-geeks like us (woo!) with a love for Seattle’s culture and character. We all wandered around the Seattle Center together to capture a taste of what makes our city so iconic. 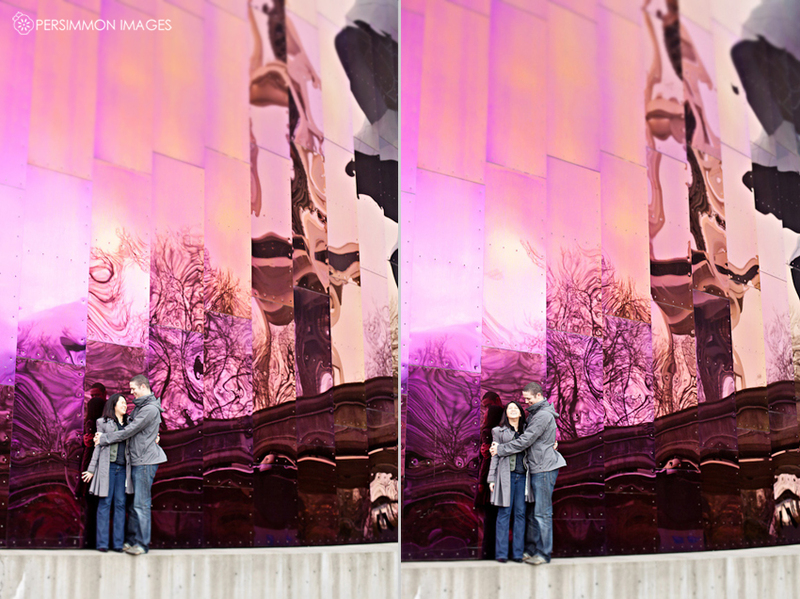 Karen and Chris were particularly playful with each other, so we had fun messing with all the colorful backdrops… especially the EMP/Sci-Fi museum and the surrounding wacky buildings. And then, we were blessed with the most epic sunset. Really, wow… no words. We’re really looking forward to photographing their wedding this fall– if their engagement session is any indication, we know it’ll be a great time. Thanks for going adventuring with us, guys! (And even doing a “facedown” for me!) You rock! Christen - That silhouette against the sunset is gorg!!! Christopher - Great pics Chris and Karen! Dottie - Awwwwww, Karen and Chris so in love! Wonderful pictures! Candice - These are great and I have too many favorites!! I can still see the little boy you were in the young man you’ve become. You both look wonderful.